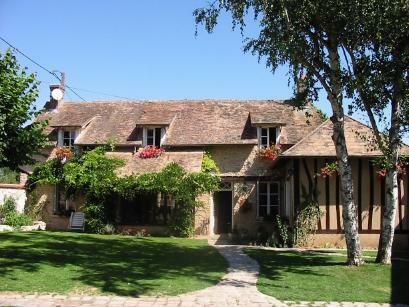 At 19 km from Giverny, Chantal and Michel Marchand welcome you in their nice half timbered stone farm built in 1897. 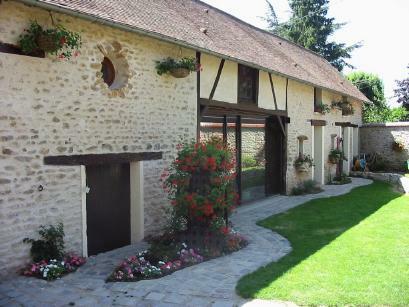 The former barn has been converted into 5 bedrooms and a self-catering gite. All together they can accommodate up to 17 persons. The house is located in a charming village of the Eure valley, in a calm and green setting ideal for walks and canoeing. The house also accommodate a shop dedicated to locally made products. For breakfast you will taste home made bread and brioche. Rooms are available from 4 pm on.